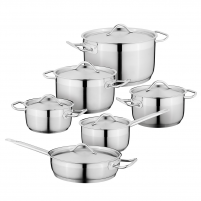 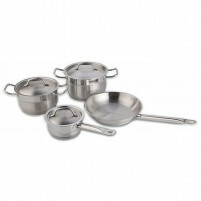 Cookware Sets – Here we have sets from the famous company of Berghoff which includes the Zeno 12-piece set; the Non-Stick Earthchef Boreal and Acadian, the fabulous 13-piece Neo set, the quirky 6 piece Sheriff Duck set of cookware and the Berghoff Stainless Steel 12 piece set. 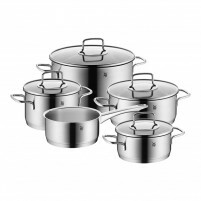 Presented in this category you will also find cookware sets from the prestigious Italian company Ruffoni including the Opera design of 10-pieces and 5 pieces, Ruffoni Historia 8 pieces and 5 pieces, Décor in 8 pieces and Ruffoni Protagonista in sets of 9 pieces and 5 pieces. 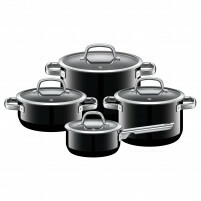 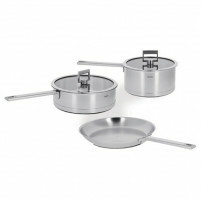 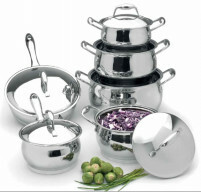 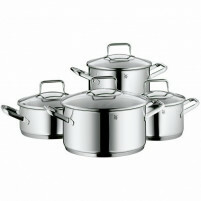 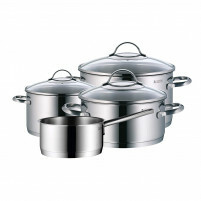 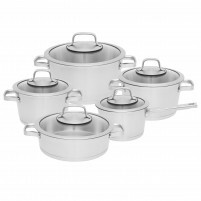 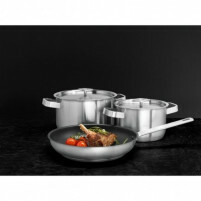 The last but not least we have the stunning range of cookware sets offered by the famous French company Cristel which includes their fabulous Strate Fix range in various sized pans with Removable handles and the Casteline with fixed handles, they have accompanying glass lids all designed to stack neatly together for efficient storage. 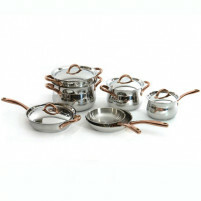 Please take your time to browse and buy from our online shop's extensive range.